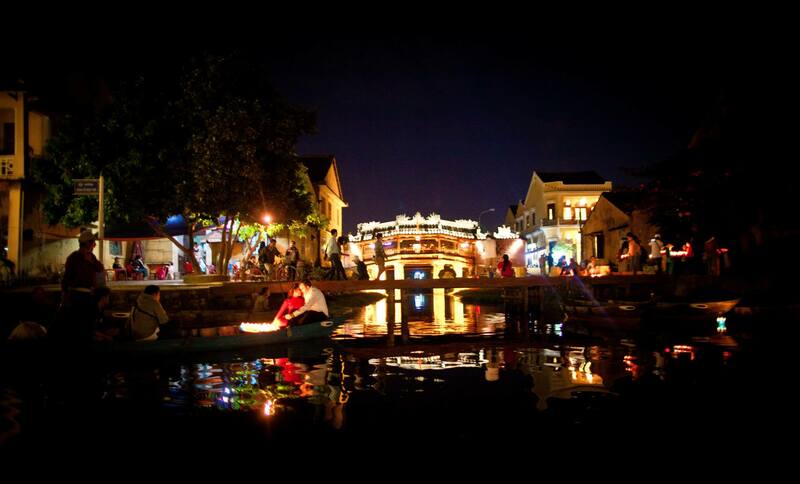 Hoi An is a UNESCO heritage site located in the central part of Vietnam. 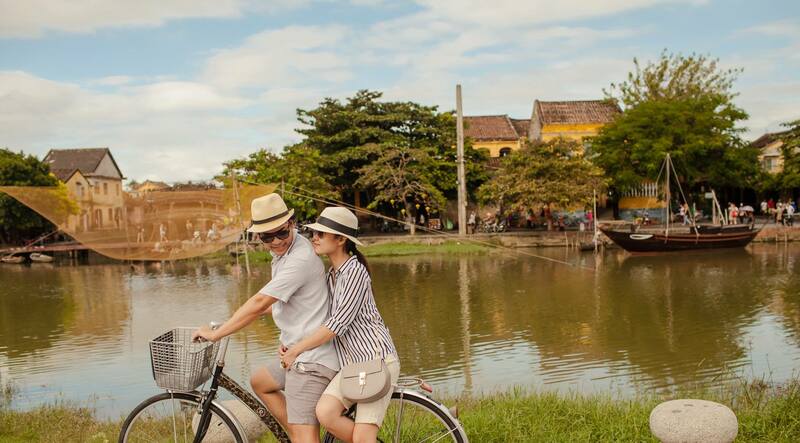 Hoi An has characteristics that resemble Venice in so many ways: beautiful maze of alleys and small old buildings, bridges and rivers and outdoor cafes. 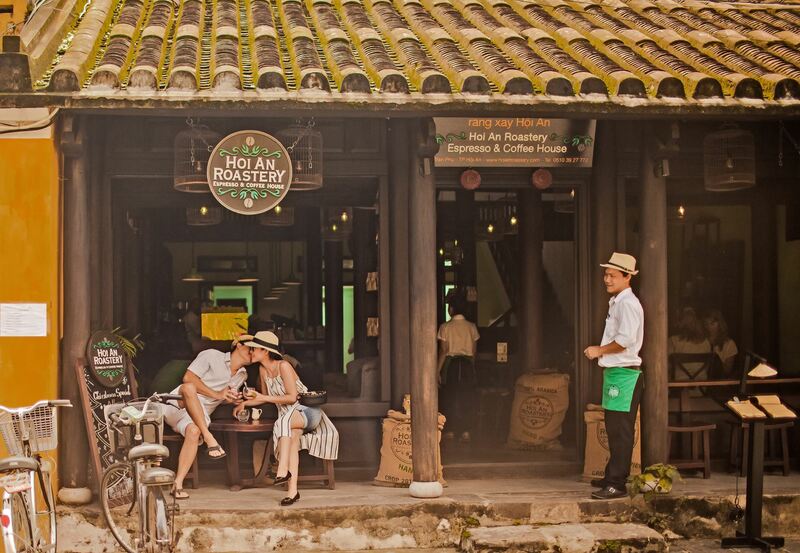 Of all the places we roamed during our one-year adventure in Vietnam, Hoi An holds a special place in our heart. 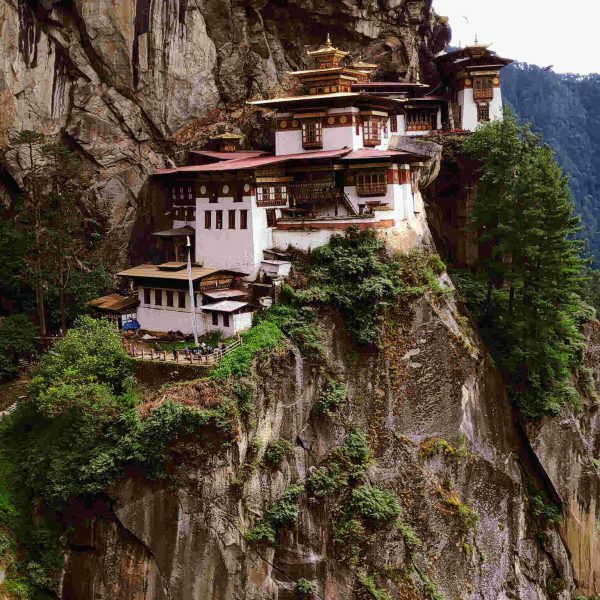 People here are friendly, polite, and sincere from the boat ladies to the cyclo drivers. The food is amazing; everyday we ate Cao Lau, Mi Quang, Banh Hoa Hon and still didn’t get enough of Hoi An’s famous dishes. 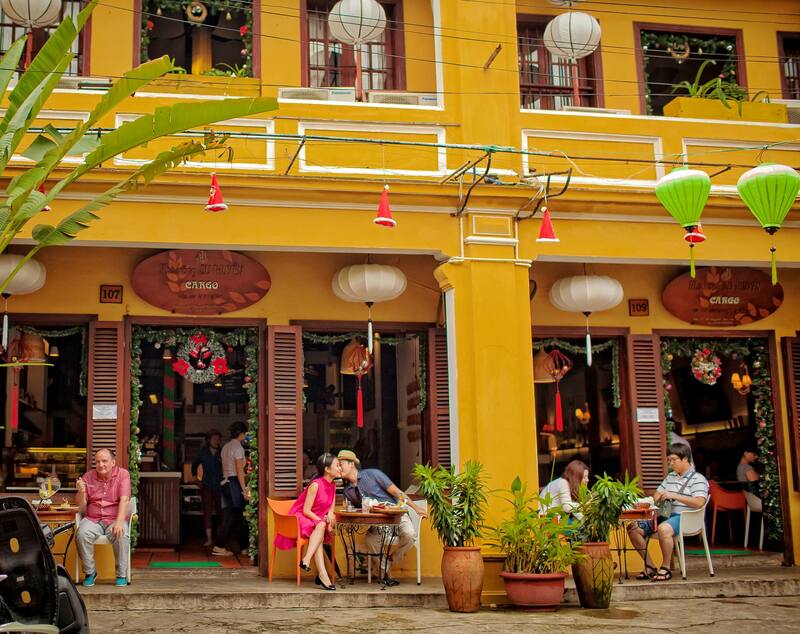 The most photogenic corner in Hoi An is the Cargo Club and Tam Tam Cafe. 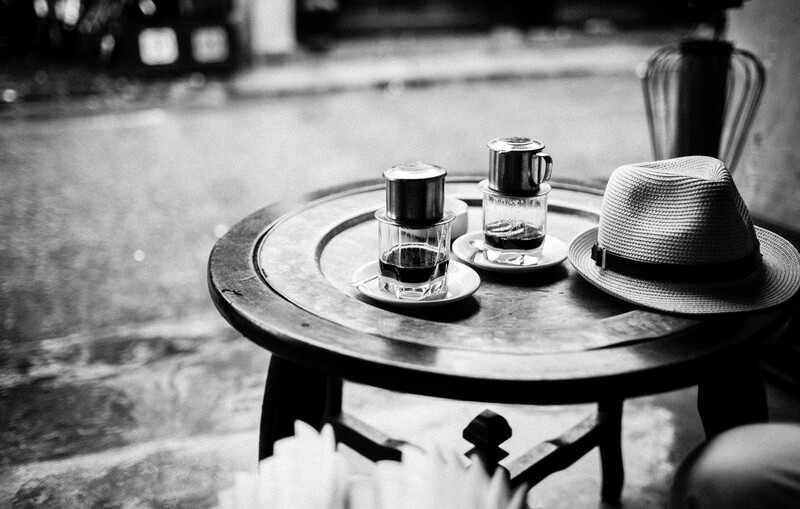 Vietnam is a country that takes their coffee very seriously, from brewing to drinking. The coffee is bitterly strong and flavorful. Served Vietnamese style, an individual-sized drip brewer sits on top of your glass, and the bottom layered with condensed milk. As you can see from the pictures below, this method of brewing requires time and patience; so it’s a must to find a lovely outdoor cafe and enjoy your coffee for several hours (please no hurry!!!!) at the same time observing stylish locals/tourists passing by. 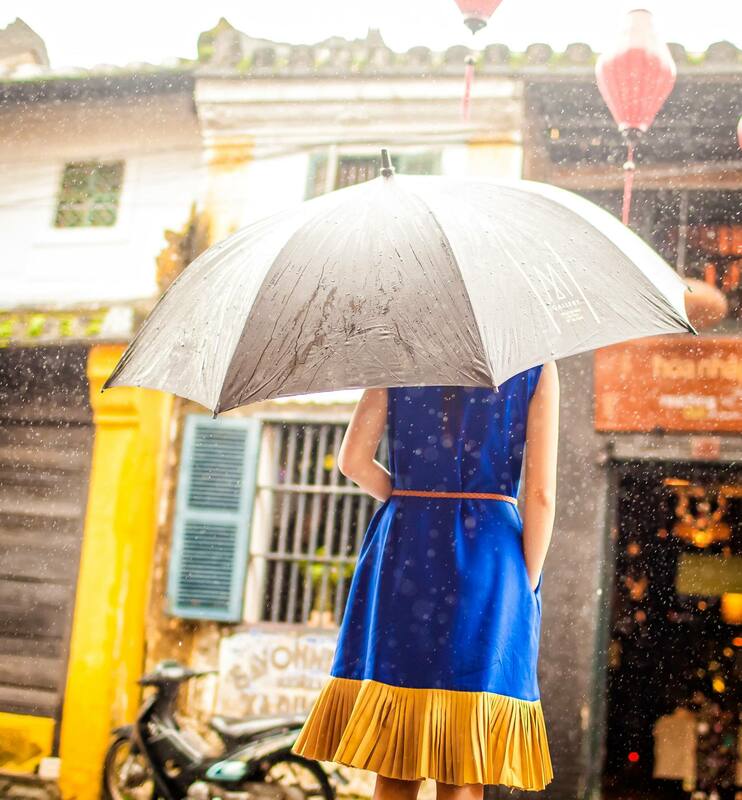 At the corner of Cargo Club and Tam Tam Cafe, we captured some of the most-well dressed people in Hoi An. 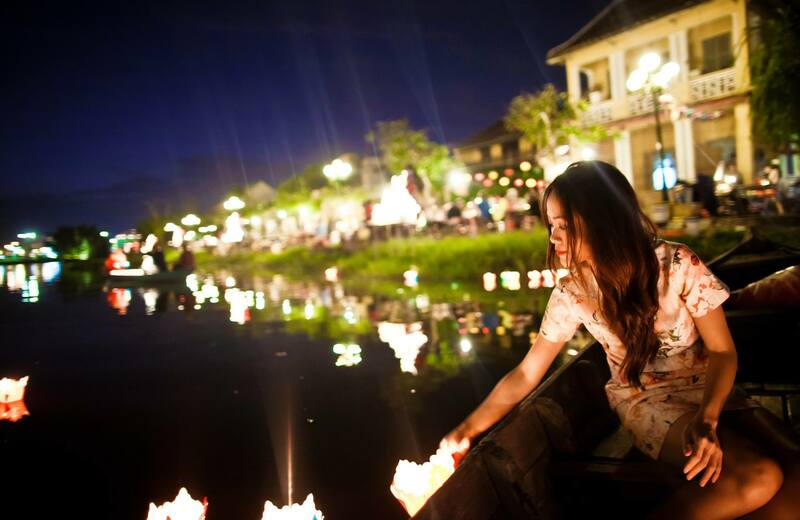 Night time is the most magical time in Hoi An when all the silk lanterns are lit up and create such a beautiful glow and illuminating ambience. 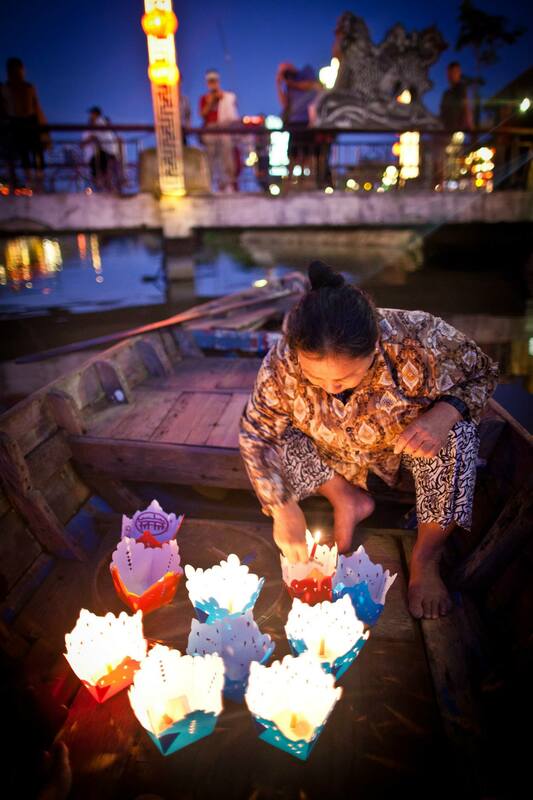 Street vendors line the bridge selling colorful lit paper lotuses that tourists then release along the dark river. 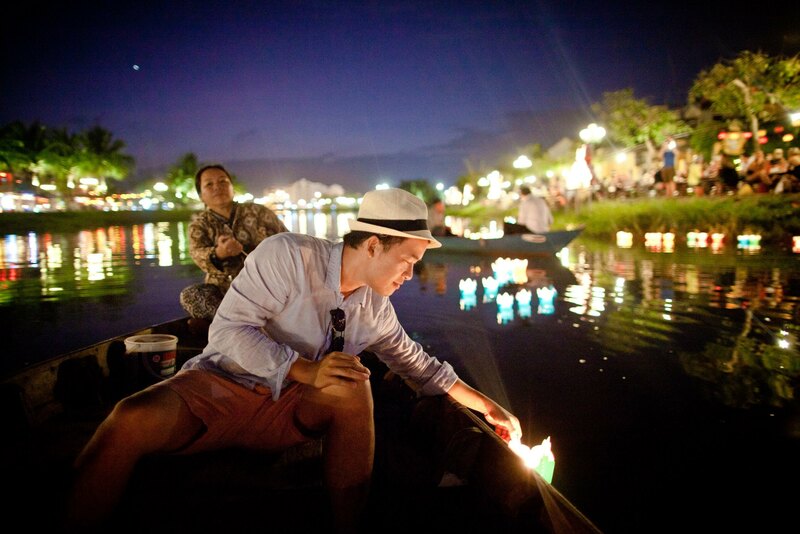 The first place to head is of course Hoi An’s beautiful lantern night market. 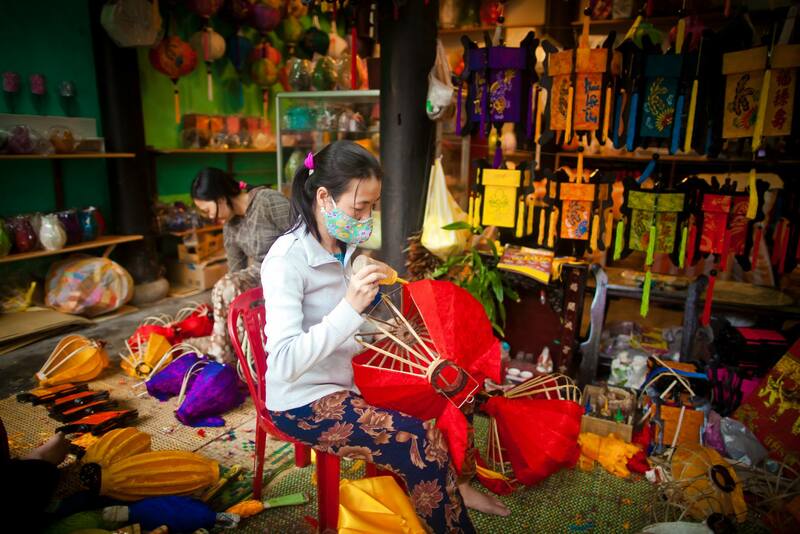 While it’s largely touristic, it gives quite an interesting glimpse into Vietnamese traditional artistry. 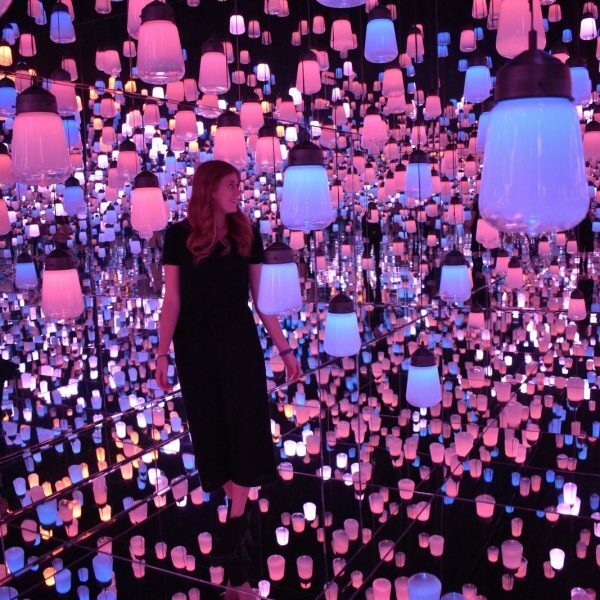 You can browse through the thousands of lanterns hand-made by local artisans. 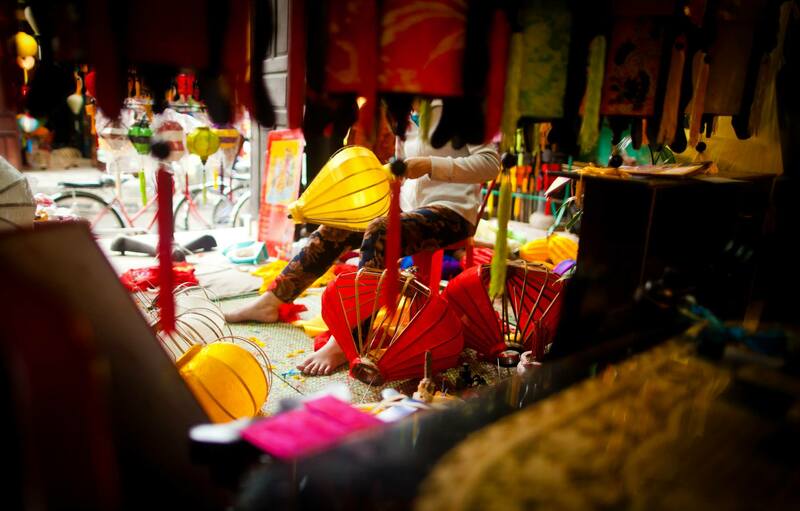 The next stop for more lantern experience is the Hoi An Handicraft Workshop which is a 200-year-old house where you can view culture shows with singers, dancers, and musicians performing on stage or you can go to their backyard to observe the lively process of local artisans making the silk lanterns. 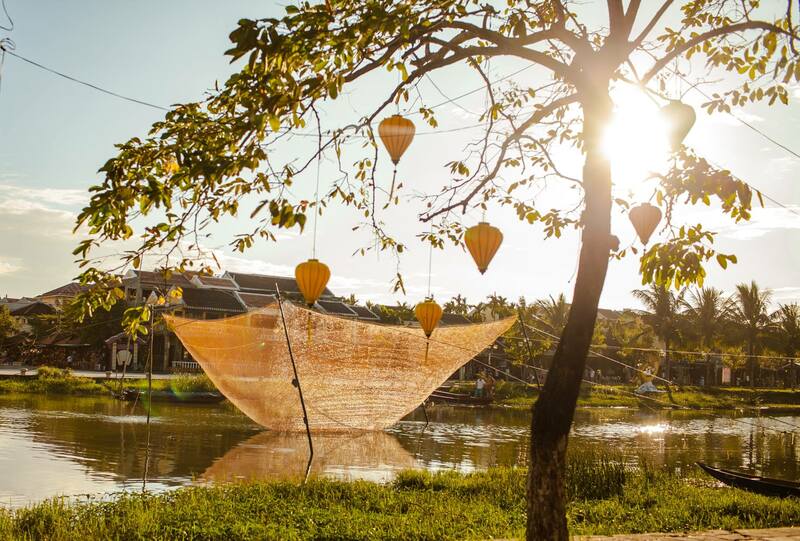 Hoi An is surrounded with rice fields, rivers, and lovely alleys. 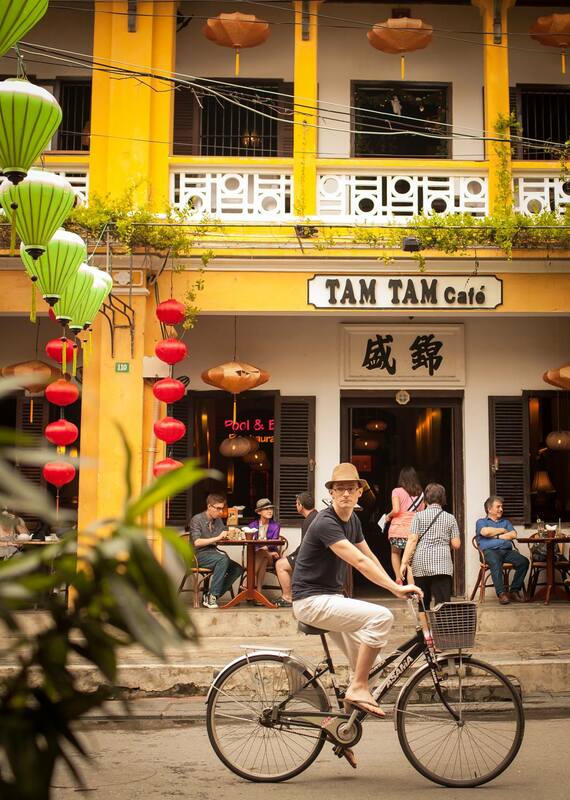 Since cars are not allowed in the center of town most folks ride bicycles around Hoi An. We used bikes as our preferred mode of transport. We biked around the old town and stopped by any street vendors to get yummy desserts and delicious local treats. 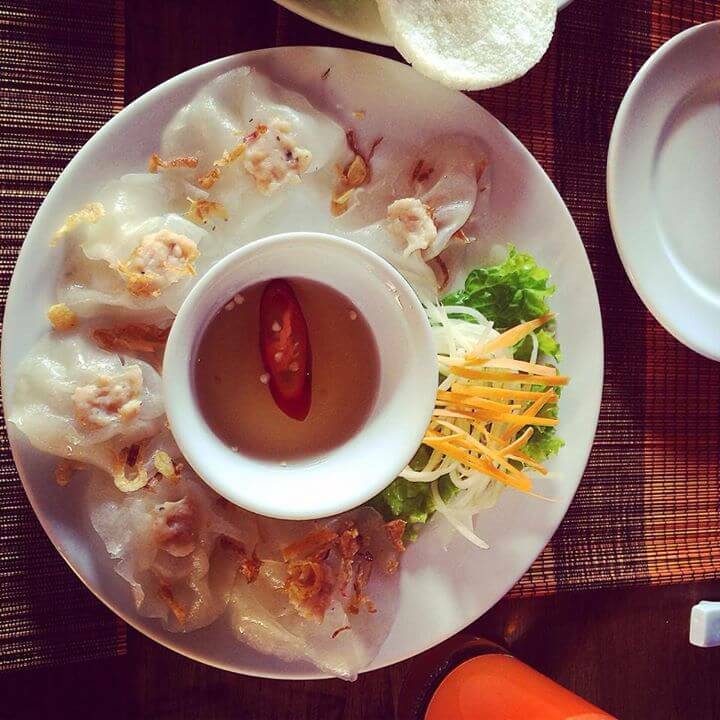 A signature dish of Hoi An is the traditional white rose dumplings. The recipe for this dish is more than 120 years old and descendants of the family who originated this delicacy still produce it today. Our favorite restaurant for this dish is Streets Restaurant, 17 Le Loi. 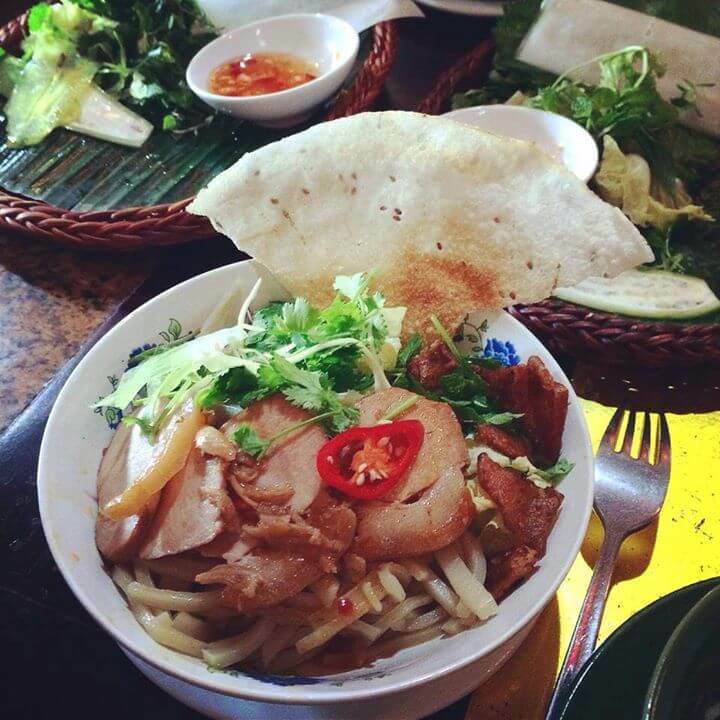 Cao Lau is our favorite dish of Hoi An. The recipe is more than 100 years old and the smokey chewy noodles can’t be found outside this ancient city. It’s a delightful combination of color, texture, flavor, and spice. The famous restaurant for this dish is Trung Bac, 87 Tran Phu. 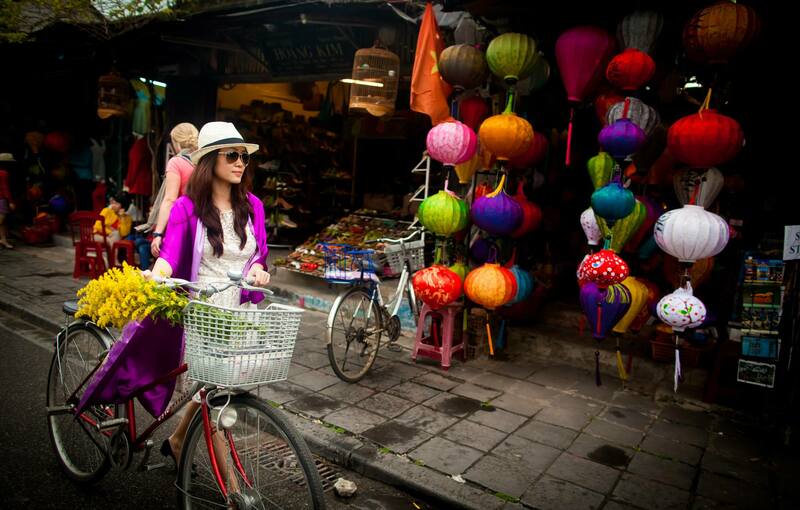 We love Hoi An so much that we revisited this old town 2-3 times in one year. Instead of going to new places, we kept going back to Hoi An because we can’t get enough of this charming, historic town. 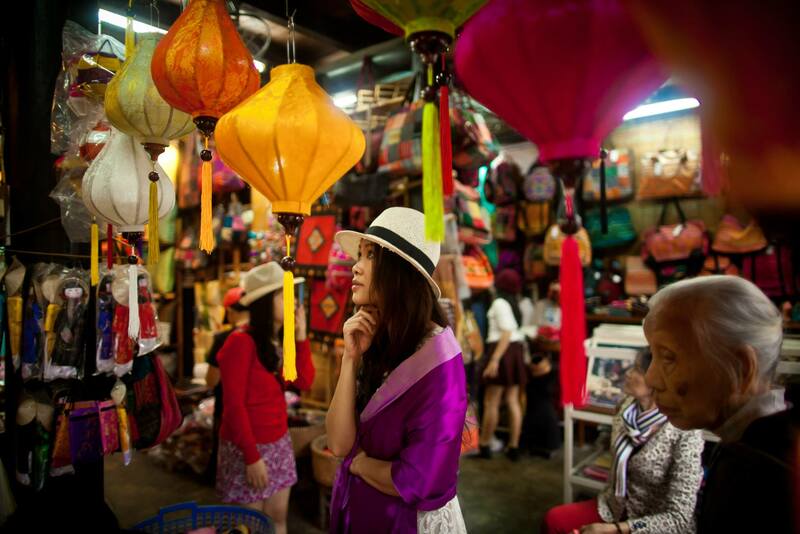 Shopping for silk scarves, sitting for hours in one of many outdoor coffee shops in Old Town Headquarter, releasing lanterns into the river, tasting desserts from street vendors are all of our favorite activities. 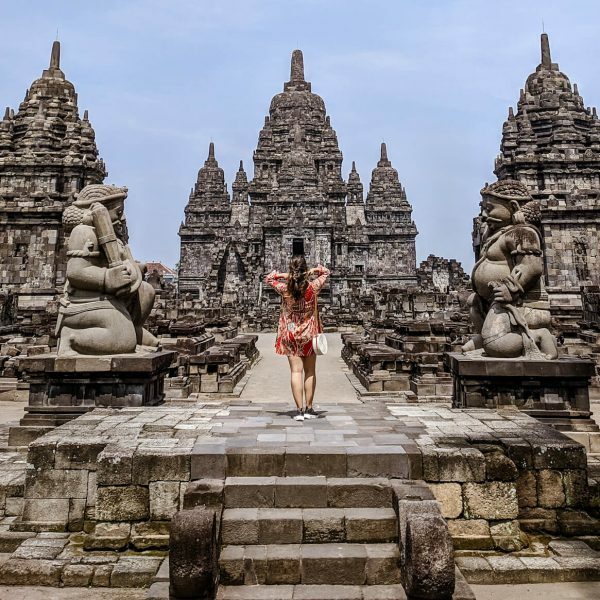 For us Hoi An is just like an Asian version of Venice with better resorts, more delicious food, and more value for your bucks! 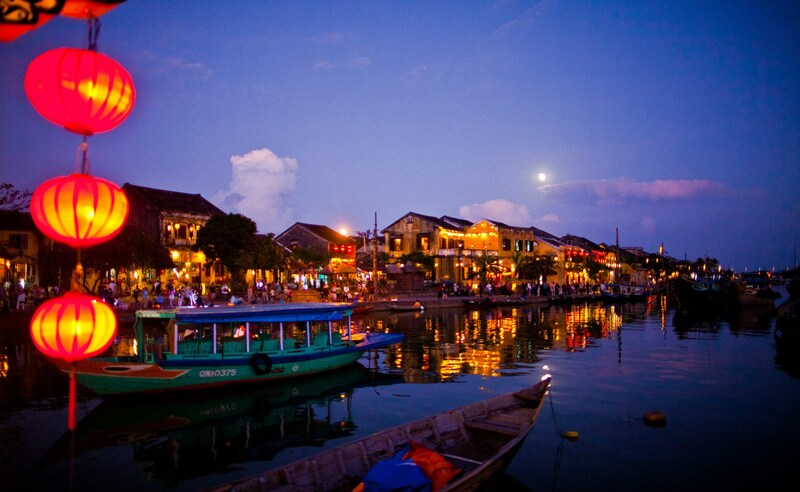 Share you own tips and recommendations for Hoi An with our readers in the comments below.